While some people allege they have been excluded from the MGNREGA system altogether because their Aadhaar cards weren't linked, others say wages are going into wrong accounts because of incorrect seeding. This is the second article in a two-part series on the impact of Aadhaar on welfare schemes in Jharkhand. You can read the first part, focusing on the PDS and pensions, here. Manika (Latehar district, Jharkhand): On July 18 and 19, the Supreme Court heard petitions questioning the government’s decision to link Aadhaar with welfare schemes – almost two years after the court said a constitution bench would be set up to look into the matter. In the intervening period, Aadhaar has slowly become a must have – particularly if you’re living in a rural area and want to continue being a part of the government’s welfare schemes. Jharkhand was the first state to experiment with linking Aadhaar to payments under the Mahatma Gandhi National Rural Employment Guarantee Act (MGNREGA), as far back as in 2011. Over the years, this experiment turned into a state-wide rule. But despite the fact that six years have passed since this linkage was first rolled out, implementation remains a problem – in more ways than imagined. 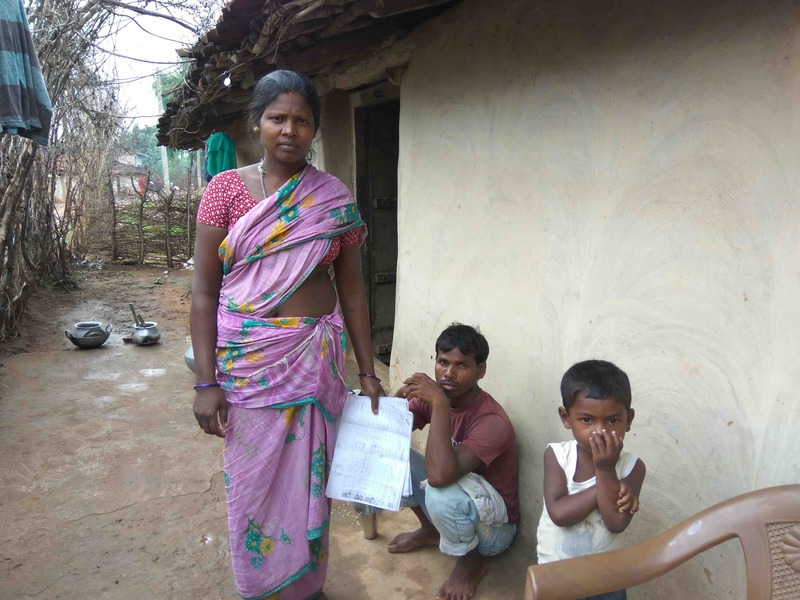 In Latehar district’s Manika block, the new system has raised a host of issues. In the employment guarantee scheme, linking job cards with Aadhaar cards has been part of a larger process of digitisation and transparency, by publishing records online. This has made things easier for activists and those with internet literacy, who can now access more information (that earlier required RTI applications) freely. But for people in Manika, the new system (around a year old in the area) is definitely not working as planned. A whole range of “teething problems” have cropped up – problems that may be fixable, but that are making the lives of labourers a lot more difficult. 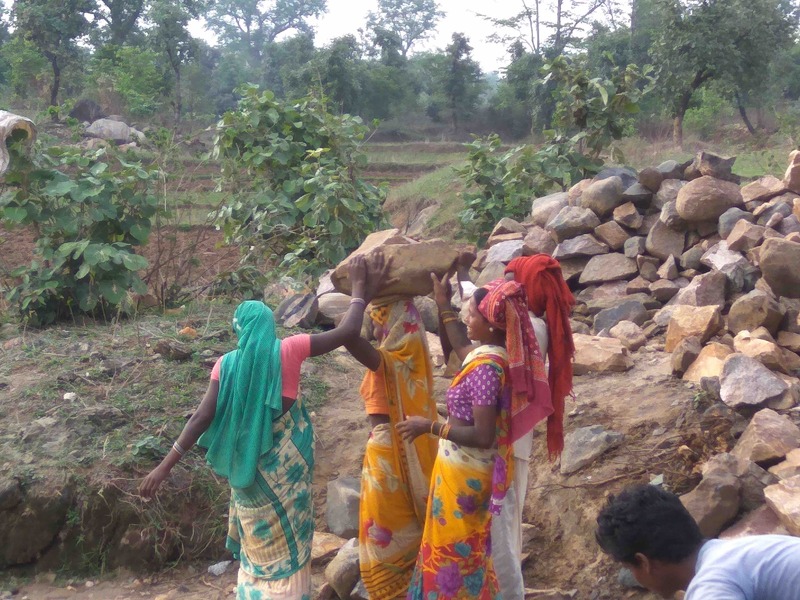 According to activist James Herenj, who has been working on local welfare issues for years and is also the head of Jharkhand NREGA Watch, a lot of this happened because of the way in which digitisation was hurried through, without proper training for the local authorities. “When new panchayats were elected in 2014 in Jharkhand – after 32 long years – the first task they had was the signing of MGNREGA cheques. But an order came from the state government that all such signatures must be digital, so they can be kept track of easily. But most panchayat mukhias around here don’t even know how to use a computer, let alone operate a digital signature. So they hired ‘operators’ – these weren’t elected officials, but they suddenly had access to a lot of power. And everything they did would be using the digital signature of the mukhia or other panchayat members, so they would be the ones held accountable. We have seen cases where these operators were putting money into random labourers’ accounts by saying they had worked when they hadn’t. They would then ask the worker to return this money to them, either by giving the worker a small commission from it or by saying it was a mistake and the labourer was legally bound to return it. The money would then be with them, with a share sometimes also going to the MGNREGA contractor,” Herenj told The Wire. “And technically, all this would happen in the mukhia’s name – the operator’s name would be nowhere in the records. Despite repeated attempts, The Wire was unable to speak to the collector directly. Even for those who do have Aadhaar cards and were around to get them linked to their job cards, there are some strange new troubles. 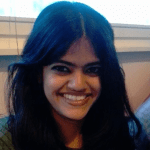 In the hurry to link cards, a few numbers were mixed up, meaning that a linked job card and Aadhaar card don’t necessarily belong to the same person. And since payments are being made to Aadhaar-linked bank accounts, this also means that a person being paid isn’t always a person who did the work. This isn’t the only case where such a mismatch of accounts has happened. 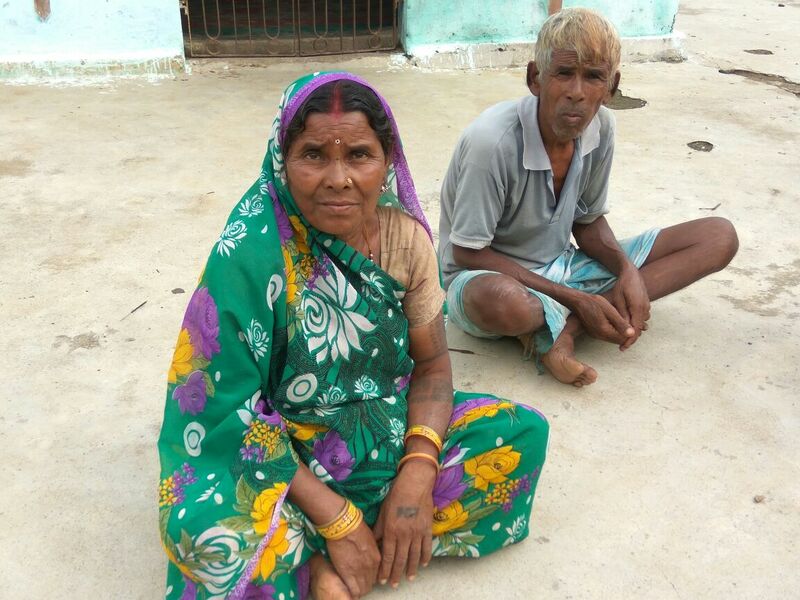 Sixty-two-year old Bhudni Devi, also in Patna village, is facing the same problem. One digit in her Aadhaar was put in wrong – so her payments were going to someone else’s account. She sent the GRS a request to change it two months ago, but nothing has been done so far, she says. 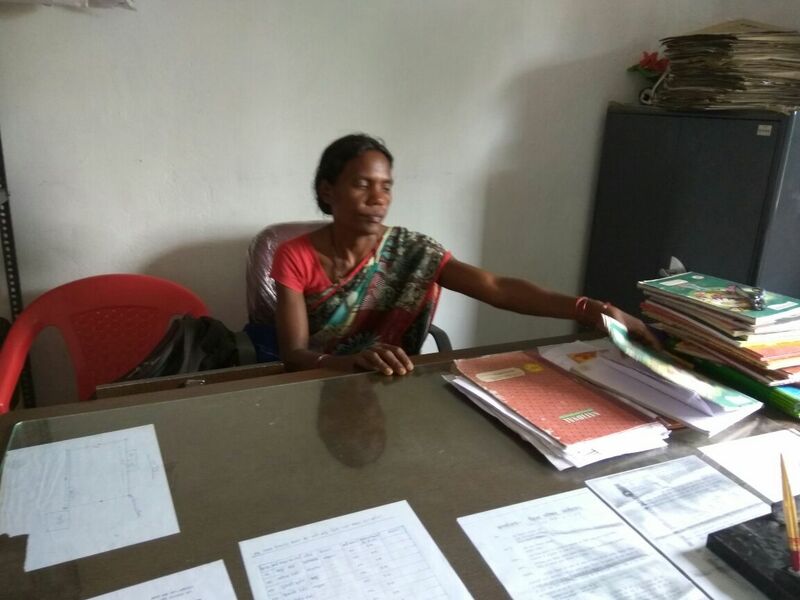 With the help of the local MGNREGA ‘mate’ (who works to ensure the scheme is properly implemented) she found out who her money was going to. He lives in the same village, so she went to ask him for her money. “But he told me he will only give it to me if I give him a commission – 50% of what I had earned! I don’t know what to do, the money is still with him,” she told The Wire. Shyama Singh is the mukhia of the Namudag panchayat in Manika block. Before she contested the local elections, she was an activist for close to 20 years, working with Herenj and others.